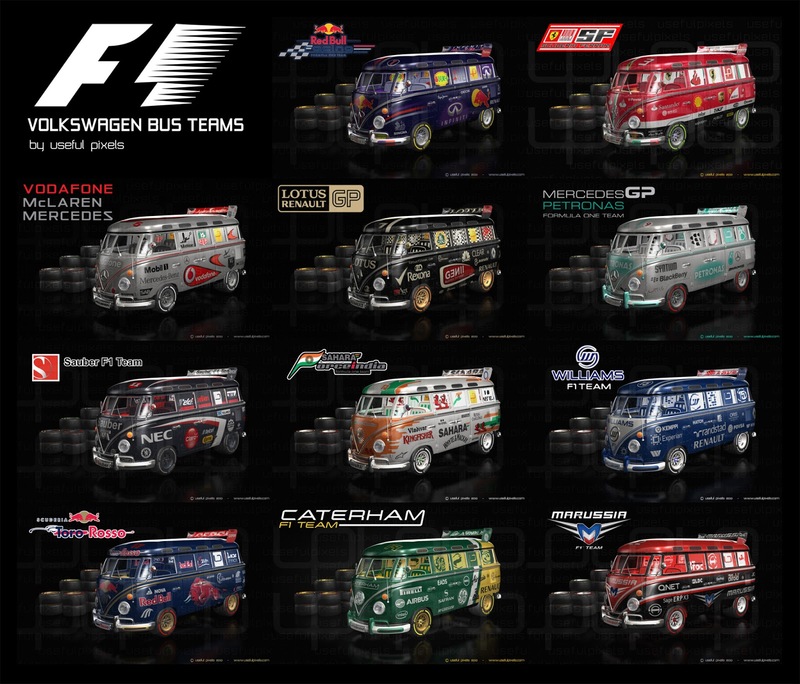 If you have ever wondered what a Formula One Teams VW Bus would look like if they had them, wonder no longer, as we have scoured the far corners of the internet and found a complete set of VW Buses all decked out in the 2013 Formula One car liveries. Why Useful Pixels have created this I have no idea, apart from they must be huge VW and Formula One fans, but the graphics are pretty cool and the idea is certainly way out there. Just the kind of off the wall stuff we like to find and bring to you.